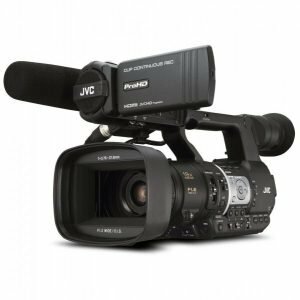 Whether you’re planning to enter the cinematography industry as a newbie or are already a professional filmmaker who’s looking for new gear, you’ll want to look at the Panasonic VariCam 35 4K Camera. 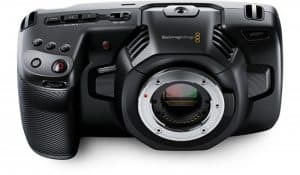 This recent offering from Panasonic is considered to be a challenger to the well-known Arri Alexa, which has long been a favorite among cinematographers because of its rugged construction and excellent features. But can the VariCam 35 out-perform this tried-and-tested product? 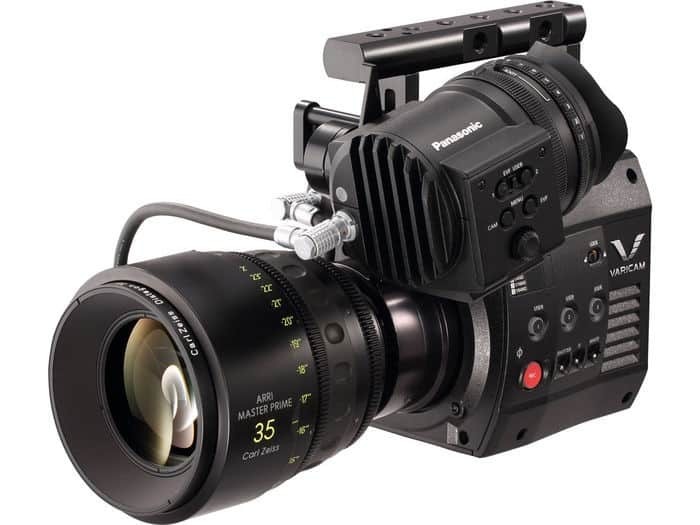 The Panasonic VariCam 35 4K Camera comes with a Super 35mm 4K MOS image sensor with 14 stops of exposure latitude. 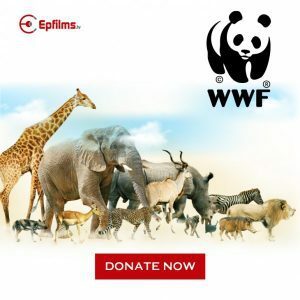 This can take impressive 4K videos with variable frame rates that can reach up to 120 frames per second, allowing you to add slow motion effects to your videos in real time. The camera can even shoot 4K Raw videos at 60 frames per second when you use an external recorder! You can also shoot videos in other formats, including 2K, UHD, and Full HD. 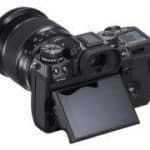 To make the most of the camera’s 4K recording ability, Panasonic has built in an internal optical filter that’s made of combined IR glass and optical low-pass filter and has a UV/IR-cut membrane. This filter is optimized for 4K recording, so it promotes excellent resolution while minimizing image aliasing. 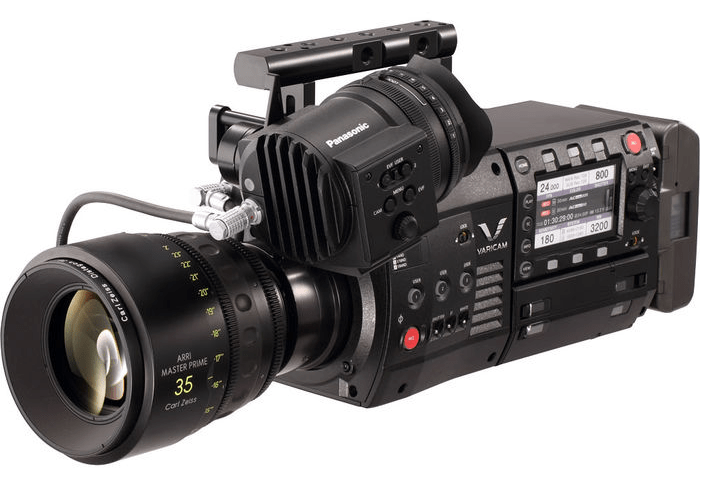 Perhaps one of the best things about the Panasonic VariCam 35 4K Camera is its modular design. It actually comes in two pieces: the recording module and the camera module with the sensor head. 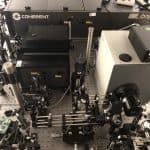 You can attach them together and use them as a complete package, but you can also separate them and use them along with jibs and cranes to record hard-to-shoot scenes. You can even attach the recording module to 2/3” setups, which is great if the super 35mm system doesn’t fit your shooting needs. Another unique thing about this camcorder is its dual native ISO settings. 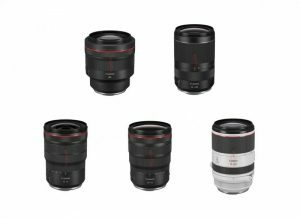 It comes in at both ISO 800 and ISO 5000, which allow the device to have impressively high sensitivity without producing a lot of noise. ISO 800 gives you excellent shots in regular settings, while ISO 5000 works great in dim environments since it allows you to capture every detail and maintain a realistic feel even when you’re working with low light. 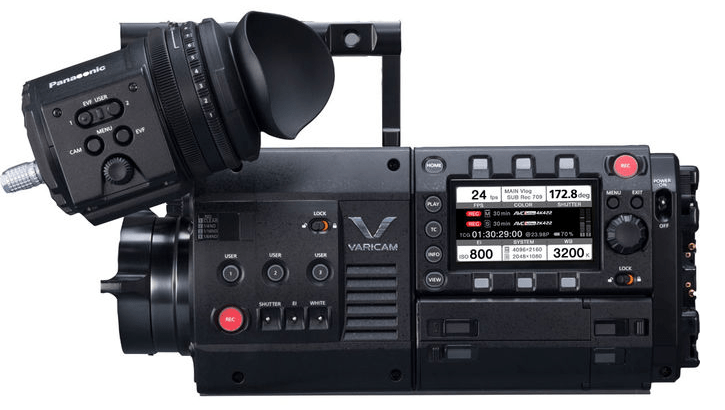 Aside from its unique modular design, the VariCam 35’s control panel can be easily removed when you need easy access to its settings. It’s especially helpful if the camera is set at a fixed, odd angle that makes it difficult for you to reach over and adjust its parameters. The VariCam 35 comes with two slots for expressP2 cards and another two slots for microP2 cards. 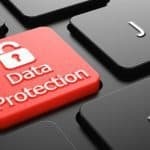 The former are used to store 4K recording as well as videos with high frame rates, while the latter are used to store 2K and HD videos. A 256 GB expressP2 card can hold up to 64 minutes of recording while a 64 GB microP2 card can hold up to 256 minutes of videos (the storage capacity of each depends on the codec used). 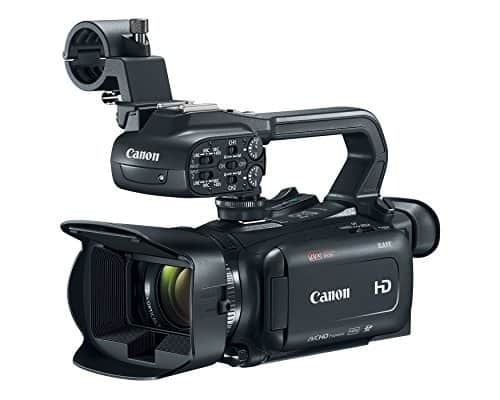 As mentioned above, you can shoot 4K Raw videos using an external recorder, which you can attach to the camera using 3G, HD, or SD-SDI connectors. You can also opt for the dual XLR inputs and HD-SDI output. Without its accessories, the Panasonic VariCam 35 4K Camera weighs at around 5 kg (or 11 lb). 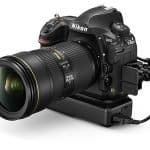 Add on its 0.95 kg camera extension module and its 0.65 kg recording extension module, and you have a setup that weighs approximately 6.5 kg (or around 14.3 lb). This isn’t a problem if you have a big production with several camera assistants, but it can be an issue if you’re running a small-scale production with only a couple of crews. Some reviewers have noticed that the VariCam 35 boots up in around 40 seconds. As they pointed out, this can be a problem since the camera needs to restart a couple of times when you change the codec, frame rates, and other parameters. Given its unique design and exciting features, it’s not surprising that the VariCam 35 has a high price tag. Still, it’s worth pointing out that there are cheaper models with a similar performance. Overall, the Panasonic VariCam 35 4K Camera can hold on its own against the Arri Alexa. 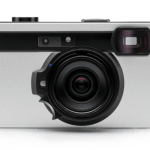 If you can get past its several drawbacks, you’ll get your hands on a powerful camera that provides you with many useful features and lets you shoot clear, high-quality videos. Ensure that the total current from the DC OUT terminal, VF terminal, and LENS terminal of the camera module, and the DC OUT/RS terminal and USB HOST terminal of the recording module does not exceed 30 W.
AVC-Intra4K444 (24p): Approx. 45 min. AVC-Intra4K422 (VFR ON, 50fps/60fps): Approx. 36 min. AVC-Intra4K422 (VFR OFF, 24p): Approx. 90 min. 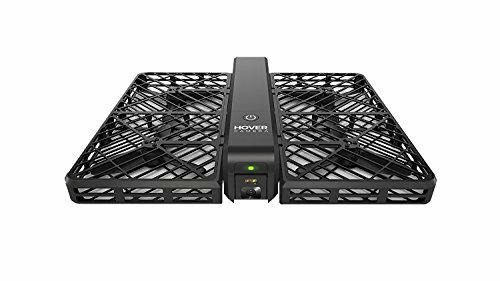 AVC-Intra4K-LT (VFR ON, 100fps/120fps): Approx. 32 min. AVC-Intra100 (VFR ON, 100fps/120fps): Approx. 64 min. ProRes 422 HQ *1 (VFR ON, 60fps): Approx. 60 min. AVC-Intra2K422 (25p/29.97p): Approx. 64 min. AVC-Intra100 (25p/29.97p): Approx. 64 min. AVC-LongG50 (25p/29.97p): Approx. 128 min. AVC-LongG25 (25p/29.97p): Approx. 256 min. * : Specification is as of April 2016. Specification subject to change upon firmware upgrade. *1: ProRes is licensed from Apple Inc. Apple ProRes codec is under license from Atomos. Atomos is a trademark and copyright of Atomos Global Pty. Ltd.
*2: Figures are for continuous recording as one clip. Depending on the number of clips, the overall recording time may be shorter than the above.